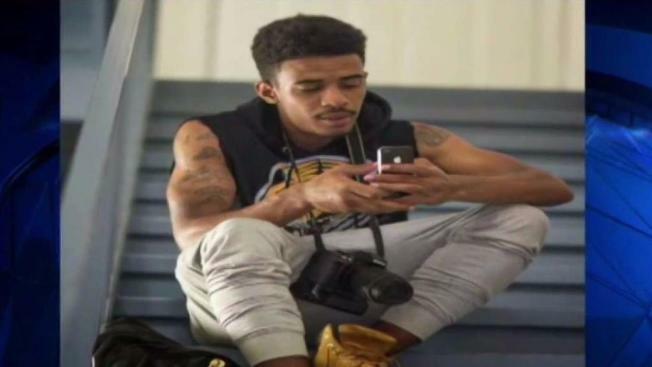 "He didn't do anything wrong that day -- just trying to hang out and meet a girl"
Human remains found last fall in Prince George's County, Maryland, are those of a 22-year-old D.C. man who disappeared after he left home to go on a date with a woman he met online, police say. Marty William McMillan Jr. was last seen on April 22, 2017, on the 2900 block of M Street SE. He told family members he was meeting a woman he met on the online dating website Plenty of Fish. His family never heard from him again. "His mom is going crazy. His grandma is going crazy. I definitely want to know exactly what happened or where my son is," his father, Marty McMillan Sr., said shortly after his son's disappearance. McMillan had just started a new job as an electrician, and his grandmother had just bought him a 2003 Volkswagen Passat. D.C. police said Thursday — on what would have been McMillan's 23rd birthday — that human remains discovered Oct. 30 are those of McMillan. The remains were found on the eastbound side of Suitland Parkway, between Interstate 495 and the ramp to the north gate of Joint Base Andrews. He was shot multiple times. A D.C. homicide investigation is underway. According to the preliminary investigation, police believe McMillan was shot inside an apartment on the 2600 block of Martin Luther King Ave. SE. Information on when he was shot was not available. His grandmother, Forlesia Cook, wept as she spoke about the killing. "He was a human being. He didn't deserve to be laying out there all that time like that, just thrown away like a piece of trash," she said. McMillan was just trying to go on a date when he disappeared, his grandmother said. "He didn't do anything wrong that day -- just trying to hang out and meet a girl," she said in a Facebook Live video published in June. Investigators told McMillan's family the last phone call he made was to the woman he was supposed to meet. But when investigators spoke to the woman more than a week later, she told them she didn't have her phone when he was communicating with her, and that she never saw him. McMillan's bank cards were used after he disappeared, The Washington Post reported. After McMillan's disappearance, his family launched a campaign to find him and spent every weekend searching for him. In May, his grandmother found his car on the 5800 block of Foote Street NE, three miles from where he was last seen. McMillan's grandmother said D.C. police should have done more to search for her grandson. "They wouldn't elevate his case to homicide. It was 'critical missing,' and it stayed that way until now, even though he was dead from the first day," she said through sobs. Anyone with information on McMillan's disappearance or death is asked to call police at 202-727-9099. Anonymous tips may be made by texting 50411. A reward of as much as $25,000 is offered.